Modern online slots are getting more advanced all the time, with 3D graphics, amazing animations and cutting edge sound effects that entrance punters. So, when players see what appears to be a simple three reel slot, they’re often automatically deterred from giving it a spin since they automatically perceive the slot as old-fashioned and out of date. However, Fire Joker has something more to offer than just another classic slots experience. Classic slots are still popular today and will continue to be so thanks to their retro feel. Still, although in this Fire Joker Slot Review we may have the look of an old-school one-armed bandit, it offers a style of gameplay that is considerably more exciting than waiting for those traditional three symbols to roll around. The first impression of Fire Joker is that it is a pretty basic slot. As it only has three reels, it’s tempting to overlook it in favour of something more challenging, however, players should definitely consider hanging around to see what it has in store. Despite its promise, Fire Joker is pretty simple, yet this isn’t a drawback. Rather than making this a dull and boring option, the user-friendliness of this slot makes it a perfect choice for any kind of gambler, even if they are a complete novice to online gaming. Beginners often find the latest technologically advanced video slots with 3D graphics a little overwhelming, especially when there are a lot of complicated rules to get to grips with. It can be hard to know how to play the most recent games from the top software developers, and while they may be exciting to look at and interesting to play, they can be a little too much for anyone who is brand new to the online video slot environment. That’s where slots like Fire Joker really come into their own. Not so basic that it offers limited entertainment, but much easier to understand and learn than complex slots, Fire Joker offers an opportunity for novices to embark on the learning curve of online slots in an easy and user-friendly way. The Joker symbol features heavily in this 3 reel slot, hence its name, and you’ll see plenty of it in this mid variance game from Play N Go. Although it only has 3 reels, if you’re expecting a single pay line game, you’ll be surprised, since there are 5 pay lines in this slot. There are other interesting features to look out for too, and it is these hidden gems which take this basic looking slot from just a classic to an icon. One unexpected feature of this slot is its stacked symbols, which is something that doesn’t happen too often in an average 3 reel slot. This feature makes it really stand out from the crowd while offering punters a great opportunity to stack up against their wins. The stacked jokers aren’t only on a single reel either, as they can appear on all three. Once they have appeared on two, a free respin feature offers players the opportunity to score a stacked third too for a large payout. This fantastic feature adds extra lucrativeness to the slot. With an average classic 3 reel slot, once an identical symbol has appeared on all three reels that’s pretty much it. With Fire Joker, however, you’ve got even more profits to look forward to. Spin the same symbol on every reel and you’re rewarding with the opportunity to spin a wheel which will allow you to get an even larger multiplier on your win, which could be anything from 2x right up to 10x. What better way to add an extra thrill to the game while also boosting your bankroll? The Joker’s smiling face represents the Wild symbol in this slot and can substitute any of the other icons on any reel. This gives players a greater chance of winning, and since the Joker can also appear stacked, this offers yet more money winning potential. No online slot is much fun if you never get the chance to win, so it’s reassuring to know that this mid-volatility offering from Play N Go turns up one of the winning features around every 20 to 30 spins. 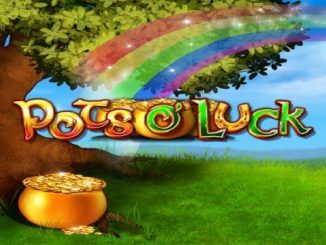 This means that you get all of the benefits of fairly frequent cash outs with the added charm of traditional style play on a classic slot. Although you can start your wagering at a pretty low value, you can carry on upping your stakes to a reasonably high amount, meaning that the opportunities for wins are pretty good. When playing Fire Joker, one of the first things you’ll notice, apart from the traditional 3 x 3 setup is that all of the symbols are immediately recognisable. You won’t be left wondering what on earth you’re looking at when you see these classic images which conjure up all of the gameplay of an old school pub fruit machine. You’ll see all of the usual imagery including Xs, grapes, cherries, bells, bars, plus symbols and lucky 7s – all of the casino classics. The Joker himself may be a traditional icon, however, he doesn’t look quite the same as the usual playing card imagery since you’ll see the jJoker’shead smiling out at you, surrounded by its halo of fire – even more impressive when it stacks up across the reels. Get three jokers in a row and you’ll immediately get an 80 coin increase to your bankroll which isn’t to be sniffed at. As for the background – you’ll find it appealing and yet simple enough that it won’t distract the eye during gameplay. The background diamond pattern looks suitably in keeping with a casino theme while the sparkling gold frame conjures up thoughts of real money prizes. When the Wheel of Multipliers appears, players are treated to a Wheel of Fortune style setup, with colourful segments on a fire-surrounded wheel which spin around a Joker face. Simple, yet visually appealing and striking, this just adds more excitement to the special feature. This game is guaranteed to keep players on their toes at all times, since sometimes it will seem to spin forever without a win, and then suddenly, as you might expect from the “fire” in its name, things suddenly start heating up. Once it’s fired, you can see win after win as the symbols stack up in a domino effect. This is definitely not a game to underestimate, and it doesn’t pay to give up too quickly with this slot as you could be missing out on a pretty impressive haul of coins. One of the best things about Fire Joker is that it isn’t exclusively a slot for experienced punters. While seasoned players will still find plenty to enjoy here, complete beginners will find that this game offers enough entertainment and excitement without being so difficult that it becomes off-putting. 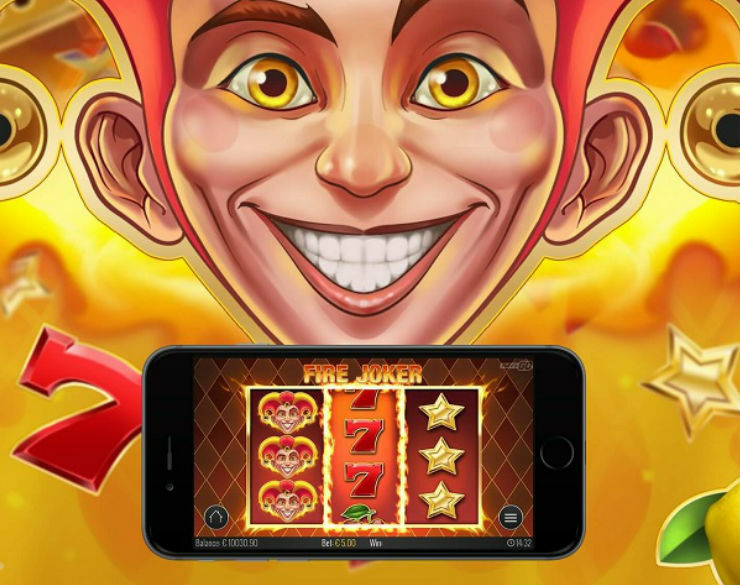 Designed to be exhilarating without being confusing, Fire Joker is the ideal bridge between the most basic one armed bandits and the five reel video slots that have a little more to offer in terms of features, bonus rounds and mini games, but which are also more difficult to understand. 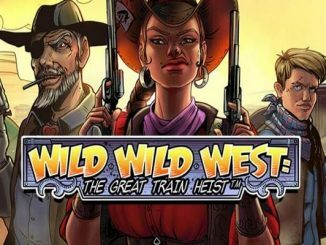 The RTP of this slot is 96.15%, and while it isn’t one of the easiest games to win, its medium variance means that it offers enough chance of a payout to make it well worth a spin, especially if you choose to bet up to the maximum wager amount. One of the problems associated with 3 reel slots is that they often lack any features to hold the player’s interest for any length of time. While it may be fun to watch the reels spin in the hope of scoring three in a row, after a few minutes the appeal rapidly wanes leaving punters wanting more and going off to seek something a little more inspiring. Play N Go have considered this eventuality and have looked at ways in which they can keep players interested for longer. They have achieved this by not only offering stacked jokers, but also by offering a couple of exciting features that will keep punters on the edge of their seats throughout their gameplay. The first of these burning hot features is the Flaming Re-Spin which was already mentioned. This feature allows players a free re-spin if they find stacked jokers across two of the reels in the hope of turning up a matching symbol on the third to net a win. By holding the two stacked reels still and spinning the third, players have the best possible chance of securing a payout. The second cool feature is the Wheel of Multipliers. This great feature is available whenever you spin three matching symbols across the payline. This allows players to spin the wheel and obtain a multiplier which could be as much as 10 times the wager – a pretty impressive deal in anybody’s book. The matching symbols don’t need to be straight across the horizontal, they can also appear diagonally too thanks to the 3 x 3 layout, and that gives you greater opportunities for success. Whether you are a low limit player who prefers to be careful with their money or a high roller who is on the hunt for the biggest payouts, there are opportunities to win big here and to gamble the amounts that best suit your bankroll. For players who are keen to limit their risk, the minimum bet is just 5p per spin, making this game easily within reach of punters with even shallow pockets. However, for those who are determined to go to any lengths to maximise their potential gains, the maximum wager is as high as £100 – certainly higher than many other much more advanced slots, and this is a great opportunity for high value players. Play N Go are aware of the importance of flexibility to today’s online slots players, and that’s why they have ensured that their software is accessible to punters of all types regardless of what device they use. Of course Fire Joker can easily be accessed via a desktop PC, however it can also be seamlessly played through mobile devices like smartphones and tablets, and players will not lose any element of the high quality visual experience due to playing on a smaller sized screen. This means that players have complete freedom to play at any time and place of their choosing, whether they want to play in the comfort of their own home or on the move, or even to fill in a few moments in between tasks. 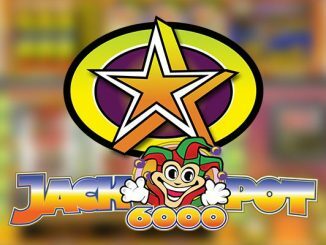 In this Play N Go’s Fire Joker slot review we think this is a great choice for players of all kinds, whether they are brand new to online slots or whether they’ve tried all kinds of games. 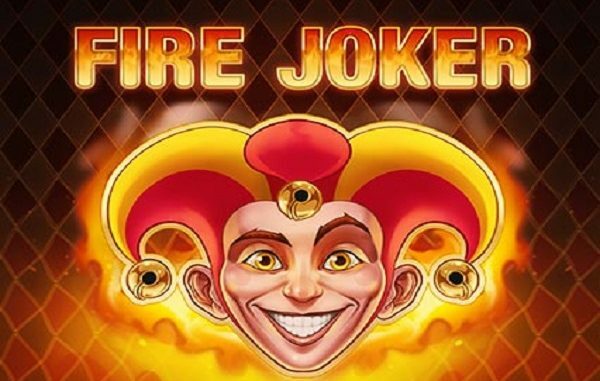 Not only perfect for anyone who is a true lover of classic style slots, Fire Joker’s great features make it ideal for those who are looking for something a little more from their traditional gameplay experience. Seamlessly accessible from all types of device, this popular slot has an exciting soundtrack, engaging visuals and plenty of winning potential, yet is still easy enough to understand that it can be played intuitively by a complete beginner. Anyone who is looking for an exhilarating yet simplistic experience is sure to find plenty to enjoy here, and those who are keen to move on to the next level of video slot will find that Fire Joker is the ideal gap-filler to obtain a greater understanding of the basics of gameplay before progressing to more complex offerings.